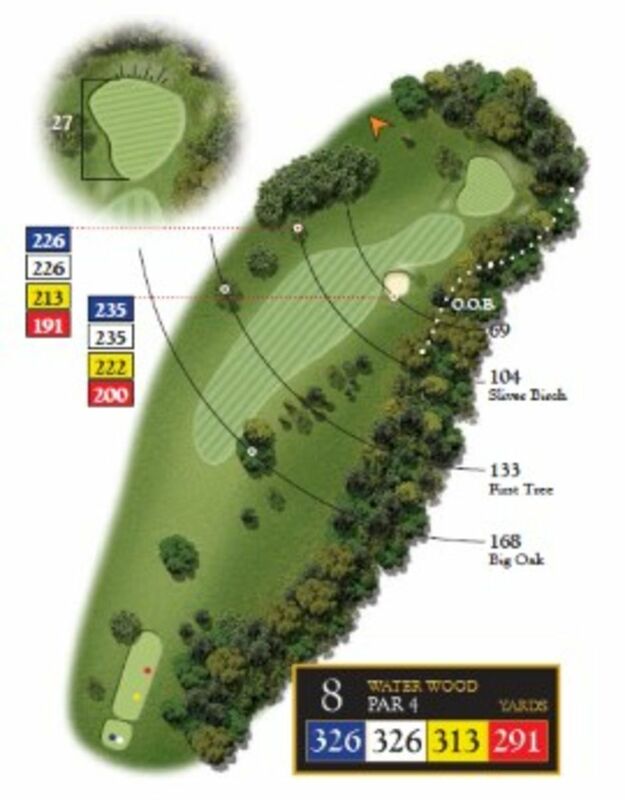 Hole 8 measures 326 yards and is the shortest Par 4 on the course. From the tee you can see the start of the fairway which doglegs right to a green which has no bunkers. 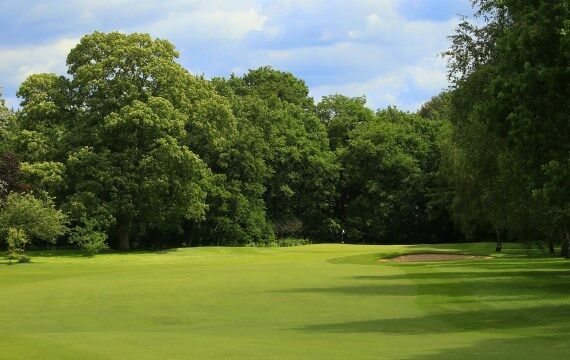 The most challenging part of this hole is the tee shot and you must avoid the big oak tree on the corner of the hole which is 170 yards away. Pro Tip – Placement of the tee shot is of utmost importance. It is very easy to end up in the trees on either the right or the left! Long hitters could go for this green but beware of out of bounds to the right of the green.